We love repeat clients. Clients know what to expect, they understand our systems and the early groundwork of building relationships is done. This was one of those projects. In early 2016 Amy Robinson, the owner of 3 Oms Yoga Studio, hired us to remodel the new 3 Oms space. A year later she contacted us to remodel her family’s kitchen and bathroom. The original layout was…awkward. The bathroom was off of the kitchen, there were 6 doorways leading into and out of the kitchen and it was tiny to boot. 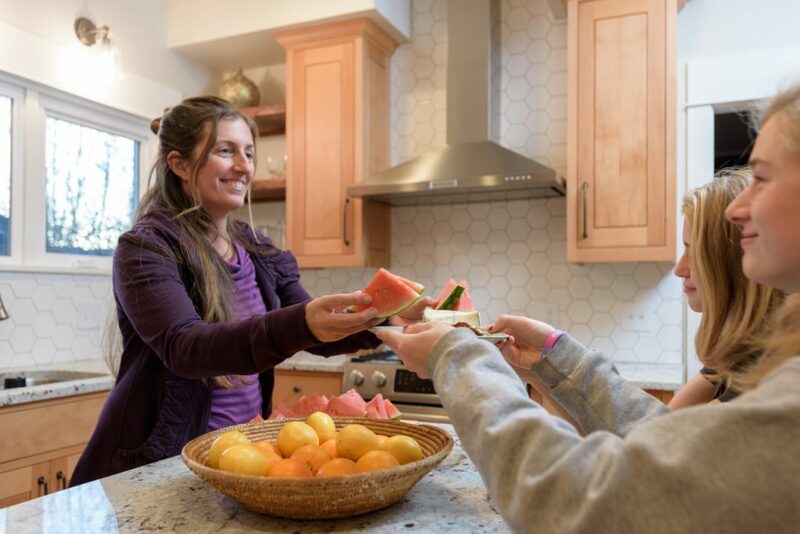 Michelle Banks, of Spiral Studios, redesigned the kitchen and main floor bathroom, opening up the kitchen, getting rid of doorways and bringing more natural light into both the kitchen and dining room. We worked with Michelle Banks, of Spiral Design Studios, on this project from day one. She worked closely with Amy and Cam to create an open layout, improve the traffic flow, and update the kitchen and bathroom. 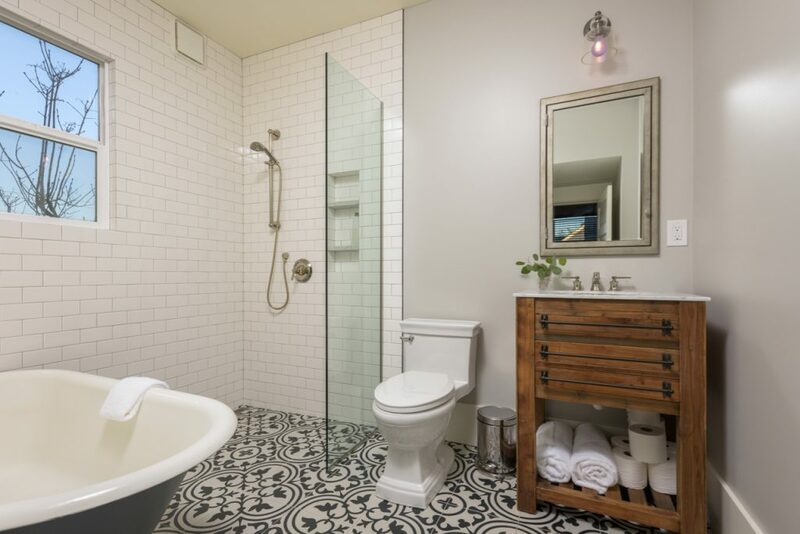 The tile selections on this project are so fun! 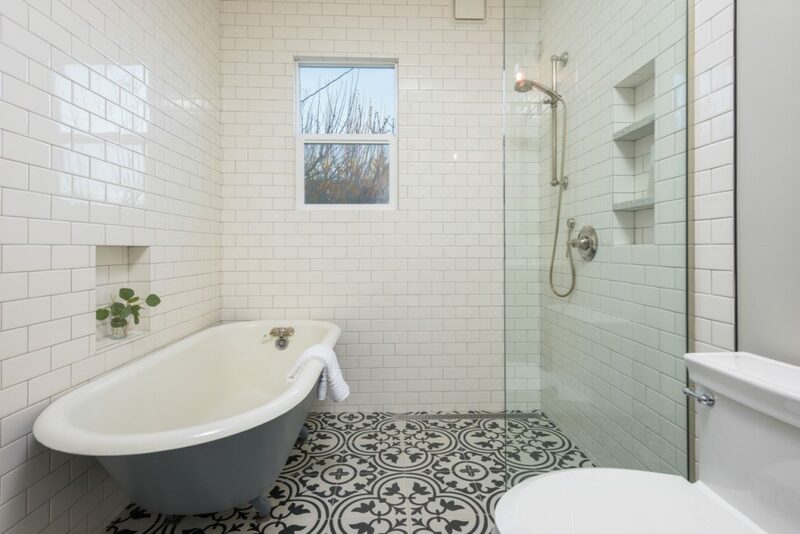 Definitely in the running for my favorite tile selections ever on a ChuB job. 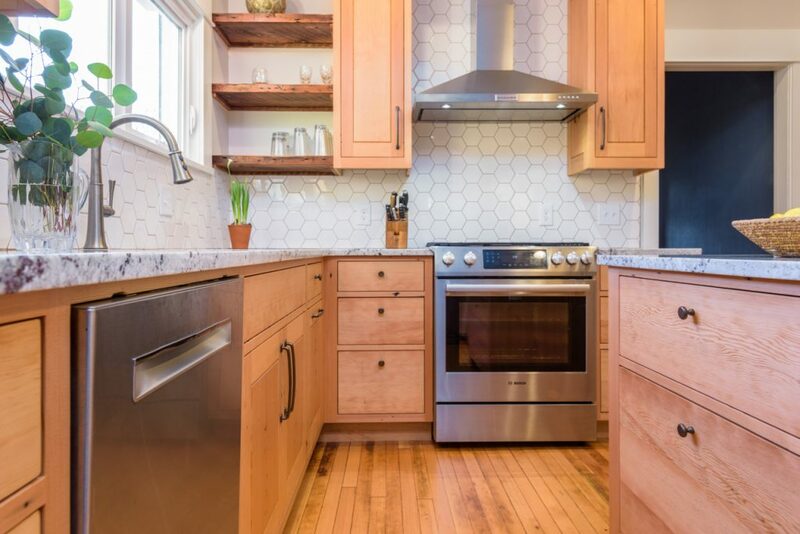 Renew Woods built the kitchen cabinets out of reclaimed fir. The island and ceiling height cabinets greatly increased the overall storage space in the kitchen. The countertop material is engineered quartz from Pental. Robbins Hardwoods refinished the fir floors in the kitchen. Fir floors are certainly not our standard in kitchens but it really ties the kitchen to the living room and entryway. 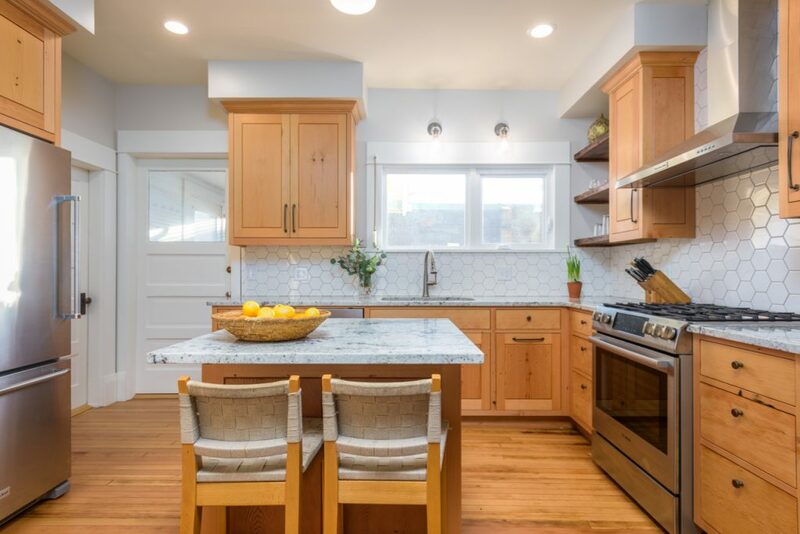 Kitchen remodels are such rewarding projects, especially when the clients use their kitchen as much as Amy and Cam! The quickest and easiest way to inquire about remodeling your kitchen is by filling out our contact form.